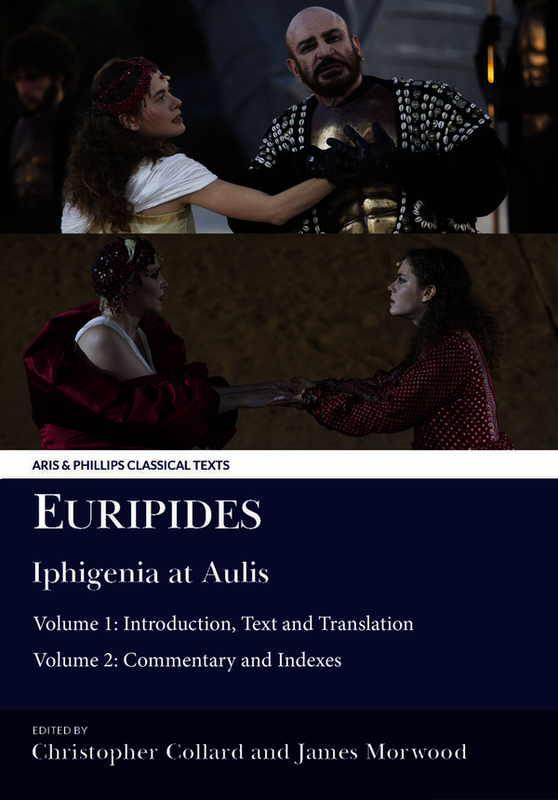 'Euripides: Iphigenia at Aulis' comprises two volumes (Volume 1: Introduction, Text and Translation; Volume 2: Commentary and Indexes), which are sold together as a set. This is the first English edition with complete commentary of the play since 1891, and there has been only one other substantial such work in any language (W. Stockert, in German, Vienna 1992). The reasons for this remarkable lack lie chiefly in the unusual circumstances of the play's composition and early history. Euripides died before completing it and it was prepared for its first performance in or about 405 BC by his son or nephew. In the century and more after that other hands intervened, the last in very late antiquity. Since the 18th Century scholars have disagreed greatly in identifying how much of the surviving text may stem from Euripides' own hand or his original conception, and how much may be 'inauthentic'; whatever the facts, the Iphigenia has received frequent and very successful production in recent years. The play's quality was rewarded at its first performance, with first prize in a dramatic competition. Scholars have written a stream of mostly brief general appreciations; but this edition with translation and commentary wishes to recognise that the play for the most part shows Euripides at his finest. It is therefore deliberately wide in its aim, at readers who have no Greek at all, at students in schools and universities who have some Greek, and at their teachers and professional scholars; its Introduction and the most important parts of the commentary are accessible to all, while notes particularly on the Greek of the poetic text and its problems are kept separate. Christopher Collard, Emeritus Professor of Classics, The Queen’s College, Oxford, was formerly Professor of Classics at the University of Swansea until 1996. He has published widely on tragedy and Euripides in particular. His work includes editions with commentary of Euripides, Suppliant Women (1975, 1984) and Hecuba (1991), and he is co-editor of Selected Fragmentary Plays of Euripides (1995, 2004) and Iphigenia at Aulis (2017). He was General Editor of the Aris & Phillips Classical Texts series from 2007-2016. †James Morwood was Emeritus Fellow of Wadham College, Oxford. Among his numerous publications are translations of eleven plays by Euripides in the Oxford World’s Classics series and 'The Plays of Euripides' (Bristol Classical Press, 2002).